AWS Home Improvements - Bathrooms, Bedrooms, Builder, Kitchens based in Horsham, West Sussex. 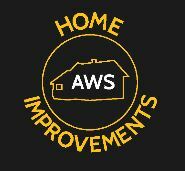 AWS are a home improvement business based in the South East of England. We have been in the business for over 30 years and have built our reputation on quality and value for money. Customer service is our priority and we only employ qualified tradespeople and use the best quality materials to ensure constant high standards of workmanship. Whether you’re thinking about transforming your home with a major makeover, or just want to add a few stylish improvements, AWS can help turn your reformation ideas into reality. We can offer you practical and stylish solutions to improve your home which are tailored to your individual needs and are within your budget. Thank you for taking the time to read our page today and we look forward to receiving your call.